Money Q&A: How can I save money on train fares? Q. How can I save money on train fares? A. Tickets booked in advance are normally cheaper than those bought on the day. 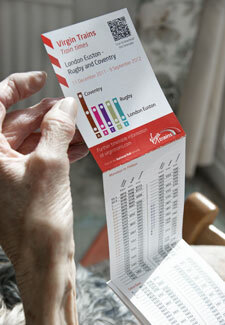 However, you will be tied in to getting a particular time train and can’t use the ticket at any other time. Another way to save is to make sure you only travel at off-peak times (usually after 9.30am and before 4.30pm), although it’s essential you check with your chosen train company, as these times vary. But the best way to bag a bargain fare is to take a slower route to your destination. Simply by taking a stopping service (rather than direct train), or travelling via another station, you could save yourself almost a third. And don’t forget, if you’re over 60, you can get a Senior Railcard for only £28 a year, which will get you a third off all standard and first class off-peak tickets.